Find local Mississippi Rabbit Breeders using our rabbit breeders directory or add your Mississippi rabbitry to our list today. Proudly helping you connect with rabbit breeders in the great state of Mississippi and find rabbits for sale. This list is part of our state rabbit breeders index. We are a small home-based rabbitry in central Mississippi. We breed and raise show quality rabbits. We have been breeding and raising rabbits since spring of 2011. We have have white with red eye New Zealand we want to raise them for meat and we also have pet rabbits as well we are just being. We have a 6 acre farm . Raise Flemish Giants, Dutch and Lion Heads. Our rabbits are cooled in summer and heated in winter. We handle and feed grain and hay daily. 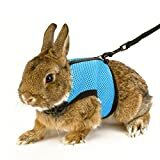 We are a small rabbitry that breeds french lops,checkered giant cross new zealand, flemish giant cross new zealand, and a few other breeds, we raise our rabbits for pets and also meat. All rabbits are very tame and any make great pets! —Call Cyndi 901-491-0949 or Nathan 901-326-6874— We are located in Desoto County Mississippi between Olive Branch and Byhalia on a small farm where we raise rabbits, boxer dogs, and Coturnix quail. We started with three breeder rabbits and are now up to 17! Although we have learned so much through trial and error and sometimes harsh experiences, we have thoroughly enjoyed the network of people we have met and look forward to meeting and working with more! Please check us out on Facebook at Hoppin’ Chicken Farms. If you have any questions or would like to inquire about a rabbit(s) here at Hoppin’ Chicken Farms, please don’t hesitate to call Cyndi at 901-491-0949 or Nathan at 901-326-6874. I have pedigree Californians. Call or email if interested. Hi & Welcome to Hoof & Woof Ranch. We are a family owned & operated rabbitry & Farm. located in Clinton, Ms. We specialize in Pedigreed Holland Lop Rabbits in all colors, and quality. Everything is purebred & pedigreed, including rare colors such as blue eyed whites, and Vienna marked. We offer most other small and miniature livestock. Call or text 769-226-3120 or Find us on Facebook. New rabbitry in North MS! Backyard rabbitry dedicated to providing high quality rabbits for pets, shows, and meat. We also provide bunny lovers with information, tips, and advice. Currently raising purebred New Zealand Whites, Holland Lop/New Zealand mixes, and purebred holland lops coming soon! Dee’s Rabbits also takes in homeless or unwanted rabbits, provide a safe secure environment until homes can be found for them. Follow us on Facebook for updates, herd info, and more! Hey, welcome to Maddie Boo’s Rabbitry! 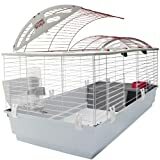 Find the best prices on cages and bunnies! Located In Decatur,Ms! At Baker Acres Rabbitry, our main focus is providing high quality meat rabbits to our clients with prompt service. We started our rabbitry about two years ago with about twenty New Zealands and now we are 250 to 500 strong. We only breed the best quality of rabbits and ensure that all of our breeders are well taken care of. We also provide Californians and Californian Cross/New Zealand for a higher breeding experience. Our Californians are big and beautiful as well as their babies. The mini Rex’s are new to us and we are just getting started in them, but we sure do have some beauties.. Check us out anytime. Welcome to Rare Earth Rabbitry….we are located in Foxworth, Mississippi and have New Zealand Red, New Zealand Black, Broken New Zealand’s, American Blue and Anerican Chinchilla all pure bred with pedigree. We interact with our rabbits on a daily basis and have good healthy rabbits. Welcome to Rare Earth Rabbitry located in Foxworth Mississippi. We specialize in New Zealand Red, New Zealand Black, New Zealand Broken Black & Red, American Blue and American Chinchilla pure bred pedigree rabbits. We interact with all our rabbits on a daily basis to obtain a healthy friendly rabbit. We can offer pedigree papers on all of our rabbits. While we raise rabbits for both pet and meat purposes. We are a small rabbitry, but we take extreamly good care of our rabbits. We are just starting breeding and also we sell coustomized rabbit houses. We started with just one doe that we were told was a buck and grew from there. We now have 3 main bucks for the New Zealand breed. We have 1 buck for the Mini Rex breed. We also will breed others does with our bucks. Our rabbits range in color from white to black. We have a chincilua buck, a black buck, and a pepered black and silver buck. Our females are Black Broken, Red Broken, White, and Sanjuan. My rabbits are well taken care of an loved….the best thing in the world is seeing a smile on a child’s face when they get their new bunny. I sell pets as well as meat rabbits. I am registered with ARBA. I raise silver fox, velveteen lops, Rex, and occasionally have some project crosses. I may get into English lops later. My rabbits are all pedigreed except the projects and pet quality of course. I raise for show, pets, and meat. You can visit my rabbitry via Facebook. We are located in Mississippi and have many different colors and kinds of rabbits. Small clean farm based rabbitry. Raising checker giants/new zealands for pets and meat. Have been raising rabbits for 20 years. Currently only have 5 does and 1 buck. Located in McComb, MS. I raise New Zealand whites , California , California /New Zealand cross.. We have bunnies for pets and for meat. We are a small rabbitry located in McComb MS.
New rabbitry starting in New Zealands. We are a small rabbitry with 2 bucks and 6 does. We have new zealand white for sale for meat and pets our rabbits are big and healthy. We are working on pedigreeing our herd. So far we have a beautiful Blk/Orang Broken Tri doe, Magpie Harlequin Doe, Buck white with a hint of charley tort orange, Castor/harlequin doe, and a Castor doe. Hello! Watson Family Farms is a small farm that focuses on self sustainability and home grown food. We grow rabbits for fur and meat. We raise great quality Rex rabbits and have recently added New Zealand whites to our farm. I have a small rabbitry where I raise Silver Foxes and Flemish Giants, most are raised in cages and some of the does are raised in small pastures so they can burrow in the ground to create their own dens underground to raise their kits more naturally. 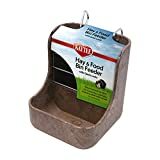 They are fed a diet of fresh wheat grass( that I grow in the house in seed trays), pellets with no corn(GMO), alfalfa hay, and orchard grass, as well as assorted carrots and greens. I also provide the kits with a grow out pasture on the ground once they reach 6 weeks old, so they can enjoy running and a more natural environment. The adults are able to enjoy their freedom at least three times a week for about four to 6 hours ( depending on seasons ) each time in their own day pastures. Small backyard rabbitry that breeds and raises Holland Lops with Pedigrees. Are rabbits are handled daily and also make great pets. Check with us to see what we have available. I raise New Zealand Whites and Californians for show and meat. I raise beautiful pedigree Hollands and fuzzy lops of many colors. They are raised with our family so they come pre socialized and super friendly. Our main goal is to produce beautiful healthy friendly rabbits that could be shown or just be a great pet bunny. Just starting up. Would like also to add one of the faint breeds. Are rabbits are not kept caged. They are in communal structures that provide a more realistic natural environment. Our breeding program, while regulated, provides for a more open area, for the breeding pairs, allowing for a more natural mating process. We use this form of rabbitry for our silver fox’s as well as our mix’s. All of our rabbits are considered meat rabbits, with the silver fox’s being bred for meat, show, and fur. Well, hello there! Sally’s Rabbitry is a fairly new rabbitry mainly working with pedigreed Holland lops for show, breeding, and pets. We are members of ARBA. We also work with Florida Cottontails for meat and for supplying our Rabbit Beagle friends with young rabbits to stock beagle puppy training pens. My husband and I have fallen in love with rabbits and their quirky personalities. If we can help you in any way you may contact us at sallysrabbitry@gmail.com. Drop us a line and we will try our best to check our messages regularly. Tick Creek Rabbitry is a small ARBA registered rabbitry (D6998). We are currently focused on breeding showable Black and Tort Dutch, meaty New Zealand, and colorful New Zealand mix. We chose the name of the creek that borders and transects our property as our rabbitry name. If you would like to inquire about our available rabbits you can call, text email, or find us on Facebook. When I started raising rabbits it was for my son who is autistic in the hopes that it would interest him. But I soon found out that it was me that it intrigued and it took off from there. The love I have for my babies is like a calming to me. As of right now I have approximately 23 rabbits but I am always looking out for more lol. Lord knows where this adventure will take me. My husband and I raise New Zealand whites , California , California /New Zealand cross. We have a few mixed breeds also. We have bunnies for pets and for meat. We are a small rabbitry located in Tylertown MS.
We raise and breed quality meat and pet rabbits. We have recently expanded from New Zealands and Californians to Holland Lops, French Lops, and Mini Rex. We raise Show Quality, Pedigreed French Lops (Clark Valentino/ Eden/Loupe/Marko lines) Excellent for 4-H, State Shows and pets. Our Mini Rex are Show and Pet Quality. Castor in Color (Casablanca/Kraemer lines). Vist our website: luckycharmfarm7.weebly.com or call (601) 814-0748 to schedule a visit to our rabbitry. Add us on facebook at facebook.com/luckycharmfarm7. Privately owned and operated, we are located on a small 2 acre farm site in south Mississippi. Our rabbits are housed in a clean, sheltered, climate controlled environment. We breed year round, so there is always a bunny either available now or will be soon. We have Pedigree Netherland Dwarf’s and Dwarf Hotot available. Hello, we’ve been breeding for atleast a year but, we’ve had rabbits in the past. We will not ship our rabbits, but if you live close to Mississippi we will plan a met-up somewhere in the middle. Feel free to email/call us if you have any questions about our rabbitry or taking care of your own rabbit, we’d love to help. If you don’t find the rabbits that you are searching for in the state of Mississippi, I suggest that you check out the breeders directories that we have assembled for the bordering states of Alabama, Arkansas, Louisiana and Tennessee. Locate rabbits for sale in Biloxi, Gulfport, Hattiesburg, Jackson, Meridan, Southhaven and many other cities across the state of Mississippi using our classifieds. Be sure to check out raising rabbits article and resource page for information about Raising Rabbits in Mississippi.